We’re big fans of using Pinterest for home design inspiration, whether we’re looking to do a whole-house reno or simply make a small update to a single room. 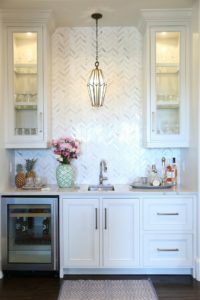 Of late, herringbone, a distinctive pattern often used for tile or flooring, is perhaps the most popular trend seen on Pinterest. 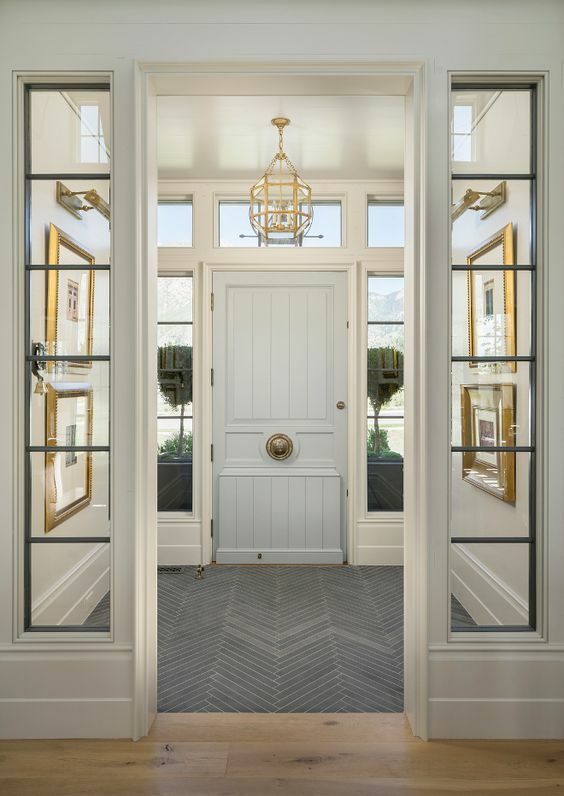 From entryways to backsplashes to bathrooms, herringbone is hot hot hot. Here are some of our favorite ways to use the trend in a way that feels fresh, not overdone. An accent in a bathroom looks fresh and differentiates a shelf. 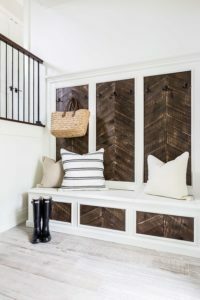 Dark herringbone against a crisp white wall makes a fun mudroom or entryway. 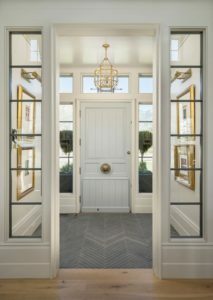 Or, use brick tile laid in the distinctive pattern for an unforgettable entryway. Slate works too. 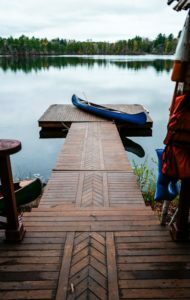 Play with deck patterns for a fresh take on wood. This dock is fantastic as well. We also love it over a bar for an accent that doesn’t become overwhelming. 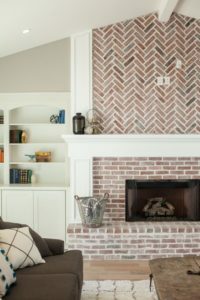 Herringbone brick over a fireplace makes an art piece unto itself. 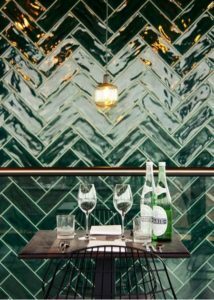 In an unexpected green, this herringbone looks straight out of a seaside vacation dream. Herringbone carpet makes a statement as a stair runner but still looks neutral. Marble is a new neutral over this vanity. 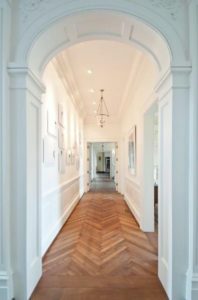 Herringbone wood works well for large spaces, like this hallway. Or this massive living and dining space. 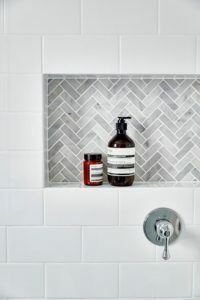 You can also mix-n-match with different marbles in a bathroom. What are your thoughts? 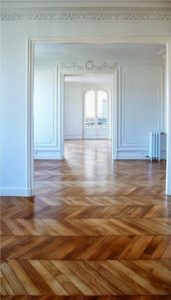 Would you add a herringbone or chevron accent to your home? Leave your opinion in the comments.